Losing a spouse is incredibly stressful, and medical research shows that older people who lose a spouse have an increased risk of dying themselves. This risk, known by researchers as "the widowhood effect," seems to be highest in the first three months after a spouse dies. However, older people also bounce back more quickly than some might think: researchers have shown that they tend to regain their earlier levels of health (both physical and psychological health) within about 18 months of their spouse's death. Here are the details of what science has learned about the widowhood effect and surviving widowhood. Although previous research had reported that men face a greater risk than women of dying soon after a spouse, this 2013 study found equal chances for men and women. It also found that after the first three months, there's still a "widowhood effect" – about a 15% increased chance of dying for the surviving spouse. Other studies have looked at the cause of death for the widowed spouse to see if people with certain conditions have a higher risk of dying. It's a complicated analysis, but a study in 2008 found that widowed men have a much higher risk of dying from chronic obstructive pulmonary disease (COPD), diabetes, an accident or serious fracture, an infection or sepsis in the months following their wives' deaths. Meanwhile, the same study found that widowed women have a much higher risk of dying from COPD, colon cancer, accidents or serious fractures, or lung cancer in the months following their husbands' deaths. Who Is Most Affected by Widowhood? It seems logical to assume that spouses who were in a close marital relationship will be more depressed following widowhood, and research has backed that up. Perhaps more surprisingly, surviving spouses who owned homes tended to be more depressed, perhaps because they were worried about shouldering the responsibility of caring for the house. Meanwhile, women who were dependent on their husbands for financial tasks and home maintenance chores tended to have more post-widowhood anxiety, for understandable reasons, research has shown. Some studies have found that sudden deaths may be easier to bear than long, lingering illnesses that ultimately lead to widowhood. However, men cope with sudden deaths better than women. No one knows what causes this increased risk of death for the surviving spouse. Some doctors have speculated that this "widowhood effect" results because surviving spouses stop paying attention to their own health and well-being as their partners' health deteriorates, but it's not clear if that's the reason. Regardless, stress likely plays a role. Social support can help to counter the widowhood effect. If your spouse has just passed away, and you find yourself struggling, reach out to your family and friends for help. And if a family member or a close friend recently has suffered the loss of a spouse, offering that person support can help them get through one of the toughest possible times in life. Elwert F et al. The Effect of Widowhood on Mortality by the Causes of Death of Both Spouses. American Journal of Public Health. 2008 November; 98(11): 2092–2098. Moon JR et al. Short- and long-term associations between widowhood and mortality in the United States: longitudinal analyses. Journal of Public Health. 2014 Sep;36(3):382-9. Published online Oct. 28, 2013. University of Michigan press release. 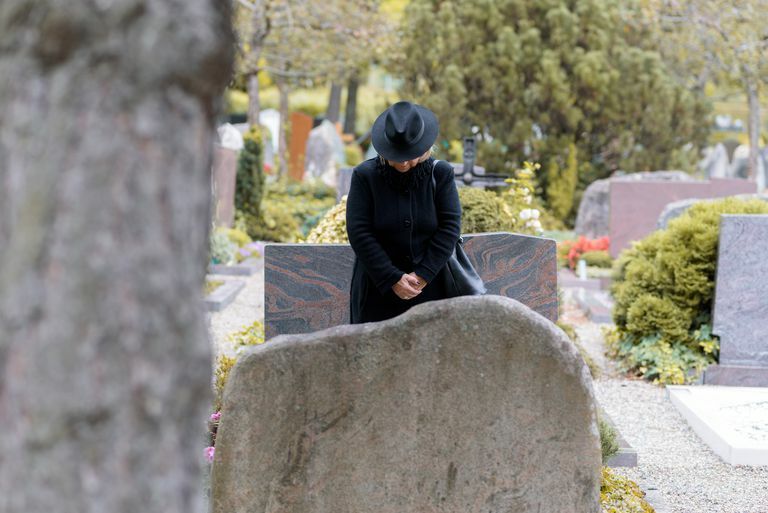 "Widowhood: Research dispels some common myths." March 27, 2001. Does Being Married or Single Help You Live Longer?